First of all, you must prep the deck correctly. If you miss this step, it is likely problems will occur in the future. You should be careful to ensure that no water is left on the deck after cleaning, and allow it to dry before staining begin. This is important because if the wood is still wet, the stain will not soak incorrectly and might ruin the aesthetic in the long run. 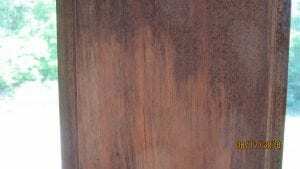 The one option for damp wood application is the Restore A Deck Wood Stain. 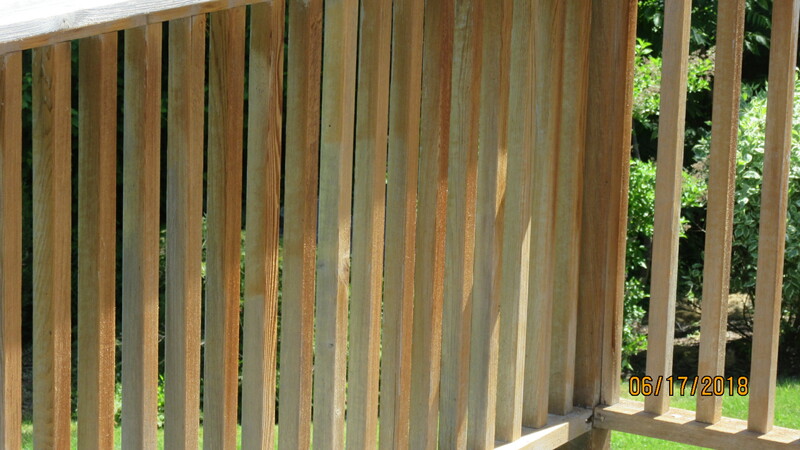 Once you are done with the preparations, the real process of deck staining can begin. You should use brighteners before staining. People often skip using them but they are cheap, easy to use, and very effective. 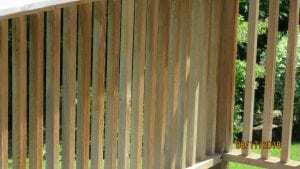 Brighteners help to open up the surface of the wood to improve penetration, neutralize any stain strippers that were used, and restore the appearance of old, weathered wood to look like new again. Once you have finished with the stain stripper and brighteners you will need to rinse and wash out all the chemicals. This is a very important step that prevents the chemicals resurfacing in the future and eating into the new stain you are about to apply. Read the entire label of your new stain. 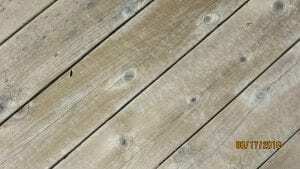 It will tell you how to use the deck stain, in what intervals of time you can apply coats, and what to avoid. Even professionals read the label before starting work! Every product is different, and you need to pay close attention to the details. Make sure not to overuse and over apply the stain. You need to be very precise. If too much stain is applied the wood underneath can’t breathe. If you apply too much you will notice a film appears on the top that will slowly peel and all your work will be for nothing. Final thoughts: Don’t rush it! 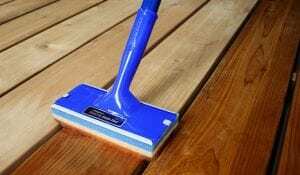 If you want to stain deck yourself without having any professional experience, it’s important to take your time and make a good job of it. Even after you complete the job, you will still need to keep an eye on the deck. 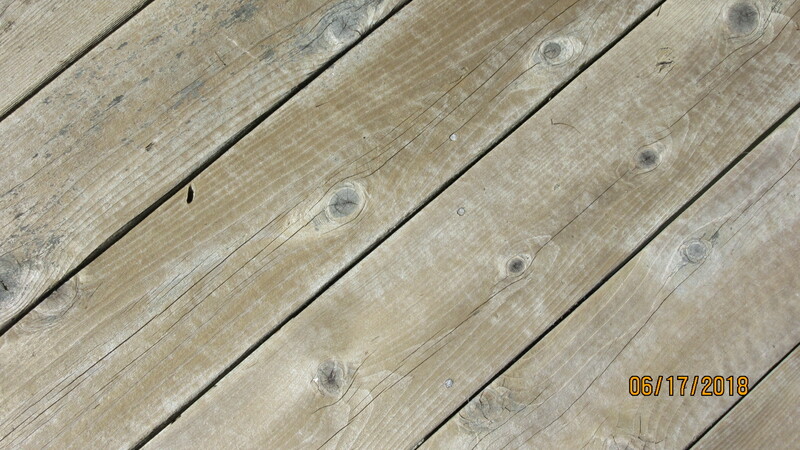 From time to time, you may have to do some minor fixes and touch-ups and you should always make sure the deck is clean. Any dirt on the surface will slowly ruin the stain. What brand? Post a picture, please. We have a deck with outdoor wood which we had previously applied a solid stain. After only one year it started peeling. Now we sanded the whole deck down to bare wood. We also used a spackling compound to cover some of the cracks. We are planning to use a solid stain to cover any knots and spackling. What stain do you recommend? Also I like to mention that we live in Oregon. Try the Flood Solid stain Pro series. -You need to strip and brighten for the prep. You will need to do all wood. -Not sure but maybe try watered down bleach for the mildew spots. Apply and rinse. FYI, it is really hard to read your questions and comments without proper punctuation and spacing, etc.